This famous German side dish may be prepared in a multiple of ways and there is a large selection of recipes. It all depends on the region and the family’s tradition. The German Potato Salad may be served cold or warm. Wash the potatoes and cook them for about 16-18 minutes (depending on size of potatoes) in a pot of water. The water should cover the potatoes. After cooking, take the potatoes out of the pot and drain them under cold water in a colander. Peel the potatoes while warm, it is easier. Let cool down. 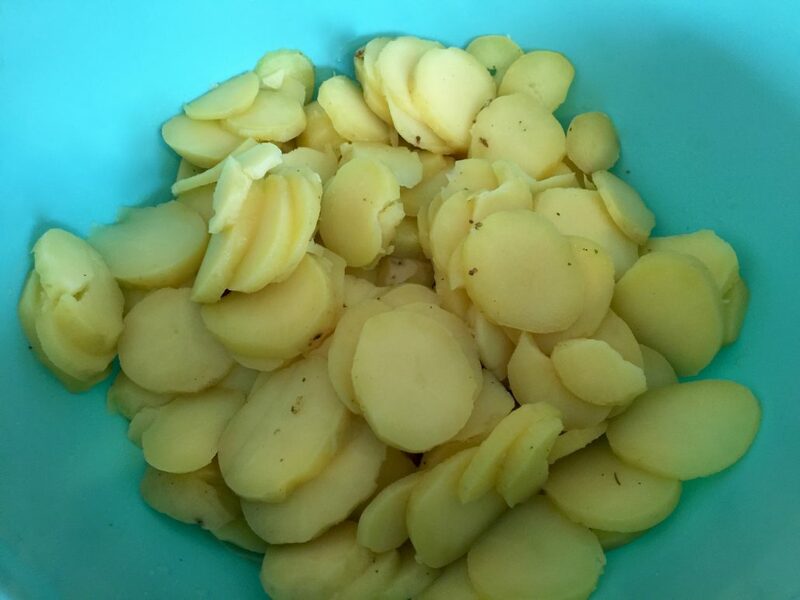 When ready, cut the potatoes in thin slices and place in a large bowl. Heat up beef broth and pour it over the potatoes. Let it all soak for about one hour. Be sure to check from time to time, to make sure the potato slices are evenly mixed in the broth. 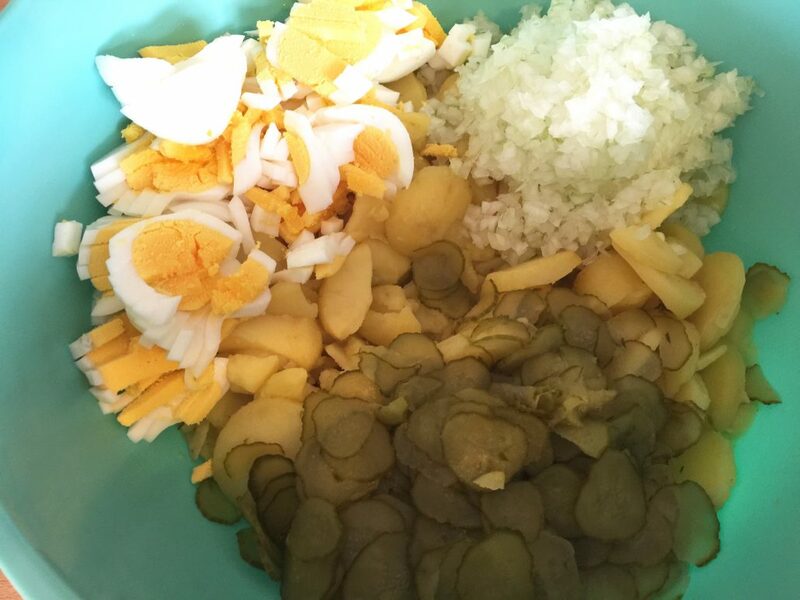 Add the diced onions, diced or cut pickles, chopped hard boiled eggs, vinegar, oil, and mayonnaise. Mix your German Potato Salad well. Add salt and pepper to your liking. The German Potato Salad is always a welcome side dish at pot luck dinners and for parties. You can also serve it with Oma’s grilled German Hamburgers or just with different kinds of sausages. To try the Homemade Pasta Salad click here, the Traditional Waldorf Salad Recipe click here, and the Homemade German Fleischsalat click here.